It was a scorching hot weekend in Davis, where basically all of the top mixed teams in California clashed at Revolution — a month after a similar showcase at Cal States. Mischief came away the big winners on the weekend, taking care of all challengers and outlasting Polar Bears on double game point in the final. Devon ‘D-Ray’ Williams put in a solid performance for the D-line and Han Chen started to take on a larger role for her new team, helping push last year’s national semifinalists back to the top of the Bay Area pecking order. Polar Bears rebounded in a big way from their showing in Santa Cruz, earning two big wins over rivals Blackbird — who had beaten PBR at Cal States last month — and another over #24 American BBQ. The mix of young athleticism from Amanda Meroux and Sean Liston with the experience of Daniel ‘Robot’ Nauro and Greg Marliave have the 2010 national champs looking much more comfortable and in sync than they did at any point during last year’s disappointing campaign. Also impressive on the weekend were Los Angeles 7 Figures, who battled their way into semifinals, and Seattle Birdfruit, who will be hoping to get into the bid mix to try to get back to Nationals for a second time. Both earned nods into our updated Power Rankings with their performances. Going the other direction after this weekend is Blackbird, who perhaps suffered most in the oppressive conditions, looking tired and executing poorly as the weekend wore on. They have yet to see the best of Bree Cahn, still recovering from a knee injury, and were missing key contributors in Barrs Lang and Jamie Quella, but they will need their veterans to play better than they have if they’re to get their season back on track after two straight disappointing Sunday showings in Davis and at the Pro Elite Challenge. New York XIST came out on top at the Philly Invite, completing a perfect 7-0 weekend with a final victory over West Chester Bang. Athens Murmur and Maryland’s 8 Bit Heroes were the class of Bourbon Bash, both cruising through a six-game pool play without giving up double digits. Murmur outlasted 8 Bit on double game point in the tournament final to claim victory. In the only women’s division action this past weekend, Oakland LOL put together a solid if unspectacular performance at Revolution. 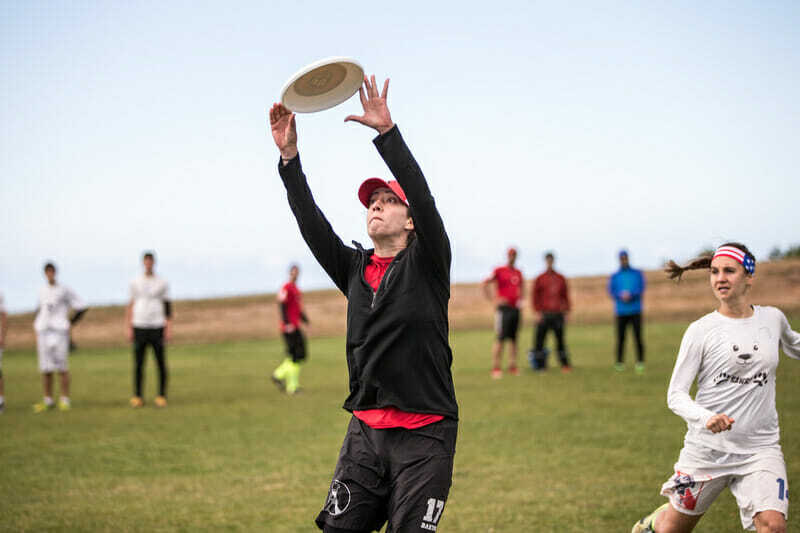 Even with a relatively short roster, the new team knocked off three other Bay Area squads and Salt Lake City Elevate in a one-day round robin in Davis en route to an undefeated tournament title. There was no men’s division action this past weekend. While no Pro or Elite teams will be in action this weekend as many gear up for the US Open in a few weeks, there is still plenty of sanctioned action on tap around the country. Many of the teams fighting to work their way into the bid picture in the Southeast face off at Club Terminus (M/X/W) in Atlanta. The men’s division is headlined by hometown Chain Lightning and Florida United, with two of North Carolina teams, Cash Crop and Turbine, looking to make a splash as well. In mixed, Asheville Cahoots come in as the top seed, looking to hold off Atlanta’s second mixed team, LoveShack. On the women’s side, Gainseville Tabby Rosa will need to fend off Atlanta Outbreak and New Orleans Queen Cake to win. 63 teams head to Loves Park, IL to take part in Heavyweights (M/X/W), with Madison Mad Men, Iowa City Panic, and Colorado Small Batch entering the weekend as the top seeds in their respective divisions. Fifteen Classic Flight men’s teams from the Mid-Atlantic descend on Henrico, VA for Stonewalled (M). Vacationland (M/X/W), Rocky Mountain State Games (X), and Virginia Commonwealth Games (X) each host small local tournaments for Classic Flight teams. TEAMS: Los Angeles 7 Figures, Salt Lake City Elevate, San Francisco Blackbird, San Francisco Mischief, San Francisco Polar Bears, Seattle Birdfruit, West Chester Bang! Comments on "Club Update: West Coast Shuffle Up In Mixed After Revolution"